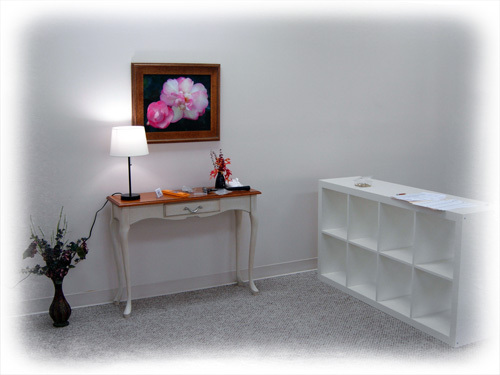 After some changes and rearrangements, this is how our place looks. 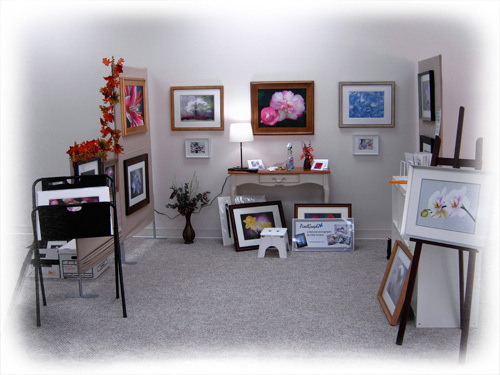 The gallery will open to the public this Thursday. 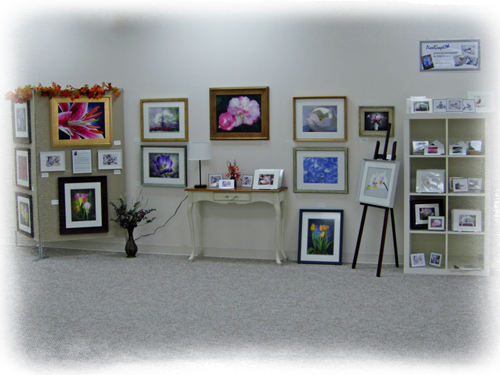 Its hours will be Thursday through Monday 1:00PM to 6:00PM. If you are in the area, come and say hello. 'I hate snow', my photo of an Eastern Bluebird on a snowy branch won fifth place in the habitat category of the 2010 Great Backyard Bird Count photo contest. 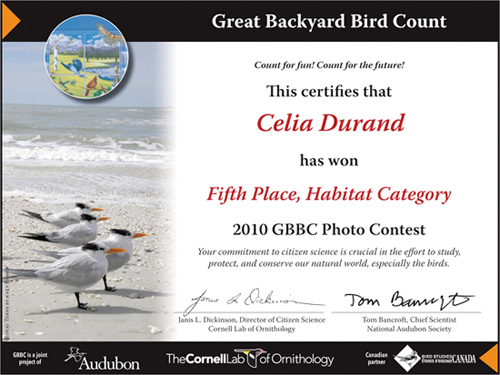 The contest was organized by Audubon, the Cornell Lab of Ornithology, and Bird Studies Canada. 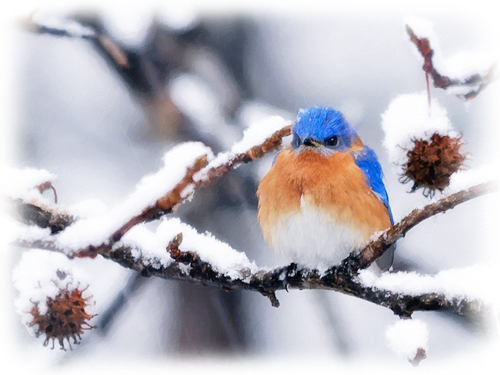 'I hate snow' is the January picture in our 2011 Bluebird Country desk calendar. 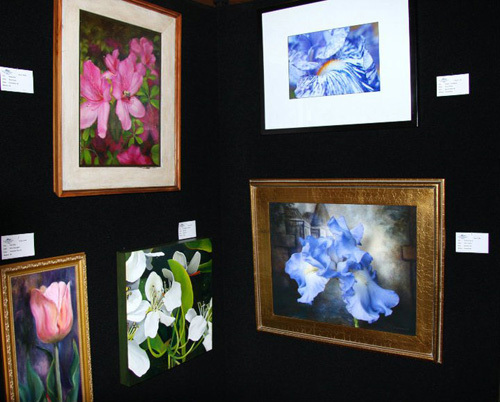 Enchanting Iris on canvas, at the Southern Appalachian Artists Guild National Juried Show. In a week or so, the Georgia Heritage Art Association will open its Co-op Gallery in Helen, GA., a town in the Appalachians with the look and flavor of a Bavarian alpine town. At only two hours from Atlanta, it caters mostly to weekend visitors especially during late October and November when the leaves change colors. 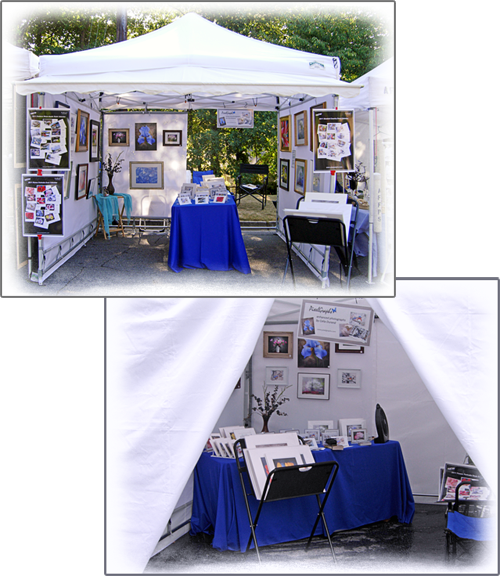 And we will have a space there to exhibit our PixelGraphs photomontages and desk calendars. After several hours of work our place starts to look good but we still have some more hanging to do. In a couple of days, after we finish with the arrangements, I'll post the final - final for the time being - picture. It was announced as a “rain or shine” event and we got both. Saturday was sunny and hot. A beautiful late Summer day and a lot of people, families, kids with grandparents, younger couples and people walking dogs. Sunday we were rained out.